GUILDERLAND – Robert Leo LaFave, Sr., 76, of Guilderland, passed away on Saturday, March 25, 2017 at Our Lady of Mercy Life Center. Bob was born in Albany, and lived in the area all his life. He was employed for many years by the Albany Country Club, and then by Laborers’ Local 190. Bob enjoyed hunting and horses, but mostly enjoyed time spent with his family. 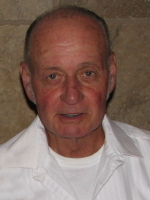 Bob is survived by his beloved wife of 54 years, Cornelia “Connie” Masa LaFave; his sons Robert L. LaFave, Jr., Edward LaFave, and Wayne LaFave (Lynn), all of Guilderland; his grandchildren Kyler Fulgan, Justine and Dylan LaFave, Alexander and Joshua LaFave, Robert Ryan, and Megan Lauzon; his great grandson Oliver Ryan; and by several nieces and nephews. He was predeceased by his sister Evelyn LaHera Vreeland, and his brother Richard LaFave. Bob’s family would like to thank the staff members at Albany Memorial Hospital, St. Peter’s Hospital, Our Lady of Mercy Life Center, and Fresenius Kidney Care for the wonderful care they provided to him while in their care. Funeral services will be held in the Hans Funeral Home, 1088 Western Ave., Albany, Wednesday at 12:00 noon. Relatives and friends are invited, and may call at the funeral home Wednesday morning from 10:00 a.m. to 12:00 noon. Interment will follow the service in Memory Gardens, Colonie. The family suggests memorial contributions to the Delmar-Bethlehem EMS Fund Drive, PO Box 326, Delmar, NY 12054. To leave a message of condolence for the family or obtain directions to the funeral home, please visit www.HansFuneralHome.com. Offer Condolence for the family of Robert L. LaFave, Sr.
Bob, Ed, Wayne I am so sorry to here of the loss of your dad he was a great husband to your mom great father to you all and a great grand father to all your kids, Millie and I will have him in our prayers. So sorry for your loss. Our thoughts and prayers are with you at this time…God Bless You. I’m very sorry to hear of your loss. We will be thinking of your family here in NC. Mrs Lafave and family. Very sorry for your loss. Thoughts and prayers to you all. Your dad was a nice man with a kind heart. Our sympathies to you, Edward, Connie and your family.